Having cut their teeth on tour with Fat White Family, these South London punks spent the past 12 months picking up wall-to-wall acclaim for their visceral live shows and Ramones-meets-Mark E Smith attitude. 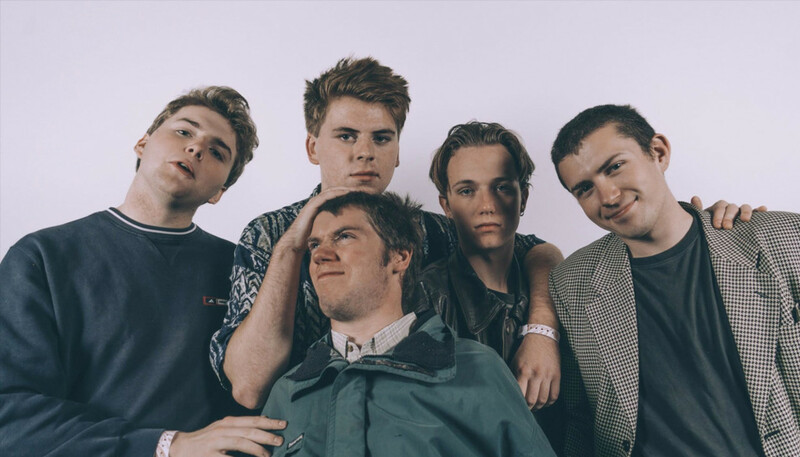 We gave guitarist Eddie Green a call at the tail-end of 2017 to discuss the band’s beginnings and their desire to tackle social issues, and to get the lowdown on their superb debut album, Songs Of Praise. How has the reality of the last 12 months compared to your initial expectations for 2017? I think I had quite literally no expectations to start with, really. I don’t think any of us did. But 2017 has certainly been a whirlwind in the sense that we started it completely unsigned and ended it with a record deal and a fully-formed album. And having done like 50 festivals and a headline tour too... A lot was crammed into 12 months. I think it’s gone great, yeah. We haven’t started faltering yet, and we’re all still fairly intact. (Laughs) I can’t complain at all. Is it true you signed your record deal at a theme park? Yeah, that is true. We signed it at Thorpe Park. There’s photographic evidence of it somewhere. I can’t remember whose idea it was. They [the label] were like, “Where do you wanna go for your signing dinner?” and I think somebody just randomly said, “Oh, can we go to Thorpe Park?” We literally signed our record deal on the rubber dinghy rapids; there’s a great picture of us all holding up the contract. So I can confirm that’s not a rumour. We literally signed our record deal on the rubber dinghy rapids. So you’ve all known each other since school, right? I mean yeah, we didn’t all go to the same school but most of us have been to the same school as another member for the entire time. So I went to primary school with the drummer [Charlie] Forbes then met [Charlie] Steen the singer and Josh [Finerty] the bassist at secondary school, then we went onto sixth form with Steen. So yeah, we spent a lot of our time in education together. Presumably you all bonded over some shared influences? Yeah, I mean we’d had the idea to start a band for a while, I guess. And then when we were about 15, myself, Steen and Forbes went to a gig at the Queen’s Head in Brixton which was hosted by the Fat White Family and the line-up was amazing. It was Jerkcurb, King Krule, Childhood, and the Fat Whites, and yeah I guess you could say that was a pivotal thing for us. A few months later we started the band and that pub was where we went on to practice. We all had sort of similar tastes in music, so I guess that brought us together in a way. How influential was the environment at the Queen’s Head in shaping you as a band? I can’t really say enough about it in terms of how important it was. I mean, we literally got a free practice space. I think without that I don’t think we would have stuck it out to be honest with you. It’s not something a lot of people are lucky enough to have. It was such a bizarre environment for five 16-year-old guys to be hanging out in. It was really peculiar. But we were spending a lot of our evenings there practising, and talking to people who used to live and work there, or even just drink there. It definitely moulded us in our embryonic stages. (Laughs) I mean, you could argue that was a bad thing, because it was a pretty wild establishment, but it definitely influenced us more than we thought at the time. It went on to be something incredibly important. You’ve been lumped into a scene with bands like Goat Girl and Sorry. Do you feel an affinity with those bands? I feel a definite affinity with bands like Sorry and Goat Girl. I mean, Lottie the singer of Goat Girl went to school with Steen and I for a few years. I’d been aware of their music for a long time before they started gigging, and I’ve always had a huge amount of respect for them as a band; I think they’re one of the most musically talented groups of people I’ve ever met. As much as there isn’t that much of a musical comparison, there’s a definite affinity, and I guess people like the romantic idea of a little scene. That idea of inventing a scene puts us in mind of your song ‘The Lick’ and your line about the NME. Are you cynical about the music press? I mean, I can’t speak for Steen’s lyrics but it’s definitely not a side swipe at the NME; it wasn’t targeted. I think that whole song was just a stream-of-consciousness about social commentary or an observation of the things you see around you. [Steen] gets a bit creative with his lyrics... but doesn’t necessarily think about them all the time, I dunno. (Laughs) I took it as one – that’s like the perfect middle-ground! Our confidence came from some of the early gigs we did, where we’d literally play to less than a handful of people in an empty pub, which kind of gave us the drive to completely detach ourselves on stage and just really lose it. Because if you try and take it seriously when you’re playing to four people on a Tuesday night in a pub that’s just gonna be the most soul-destroying thing ever. So I think that gave us the confidence to come into playing bigger crowds like we do these days. I mean, I wouldn’t necessarily describe us as confident people individually so that might be why we’re not massive w**kers, but on-stage there’s a confidence there, I get that. Some bands repress political sentiment so as not to alienate potential fans, but you do the opposite. How important is it to you as a band to address social issues? I can’t say enough about it. The people that would potentially be alienated by the sort of things we speak about are the sort of people I wouldn’t want coming to our gigs or, you know, paying to listen to our music. There’s no fear in that department. It’s very important and we wouldn’t sacrifice that for the sake of other people’s sensibilities. We’d never do anything that’s just outright offensive, or aimlessly targeted at someone, but discussing social issues like a song like ‘Visa Vulture’ does – the sort of person that would be offended by that is probably not the most sane person. To us Songs Of Praise almost sounds like a greatest hits. For the benefit of people who haven’t heard your debut, what can they expect? Well, what I particularly was striving for with this record was a compilation of songs that each individually have their own character and vibe, but with a production value that is consistent throughout the record. So it’s really great to hear you say it’s like a greatest hits record, because it essentially is as far as we’re concerned. This is a set of songs we’ve written over the past three years of being in a band. Some of them are completely different in their sonic vibe, and they’ve got very different characters, but the way we produced it was to kind of make it all flow together as a complete article. You recorded Songs Of Praise at Rockfield Studios in Wales. There’s a lot of rock’n’roll history there, right? 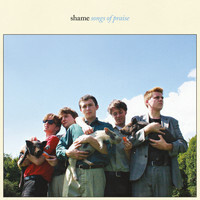 In terms of the album title, what’s the significance of “Songs Of Praise” for you? Well, funnily enough, we chose that literally an hour before we had to send [the album] off for manufacture. We had another idea before that we’d gone with, but then Sean [Coyle-Smith], our guitarist, suggested “Songs Of Praise” and we thought it was kind of funny... Just the idea of someone listening to the record, looking at the album cover, and then seeing the title “Songs Of Praise”; I can imagine that would conjure up a fair amount of confusion. The artwork is also interesting. What was the story behind that? Unfortunately, there are a lot of misconceptions about us, that we’re just kind of massive d**ks, or “lads”, or something like that. So we just kind of thought, what can we do visually that would give off the complete opposite idea? So we thought we’d find some adorable animals and nurture them. ‘The Lick’ is one of our favourite songs on the album – it’s impressively sleazy. Can you shed some more light on what it’s actually about? To be honest, Steen wrote those lyrics and I think he wanted to make the song two parts, so the latter half is social commentary and I think the first half is just the account of a man who is very twisted and depraved. ‘Angie’ showcases a different side to your songwriting, in that it feels almost romantic. Can you tell us more about it? So, the song in context is a story we were told by a friend about when he was younger back in the 80s. He was going to go to a Siouxsie and the Banshees gig with a girl who he had met at college or something, I think, but he went to pick her up and he found out she’d killed herself. It sounds very romantic, but it’s dark in a way because you’ve still got this love towards her... It’s quite melancholic. At the time, it was unlike anything else we’d ever written, and it still kind of is to an extent. When we play the full extended version live it’s one of my favourite things to do. I would personally love to explore that theme on the next record a bit further. And this time in 12 months, where would you like to be? Still standing, ideally. Hopefully with a record that’s been critically acclaimed... Still friends! That’s all I think I can ask for. Finally, can you tell us why you’re selling Shame-customised Speedos on your website?! It does open you up the risk of people sending you photos of them modelling Speedos. Yeah, I think we’re gonna have to go on a kind of blocking spree on Twitter and Instagram after the album comes out.